I’m excited to have a story, “The Zest for Life,” in issue 2 of FUTURE SF, which drops today, March 15th. “The Zest for Life” will also be published on their website mid-April, the week of Earth Day. Future SF is a collaboration between the Future Affairs Administration, which publishes excellent SFF in China, and UFO Publishing, which is much-loved for its annual Unidentified Funny Objects anthologies. Issue 2 has stories from MIKE RESNICK, DAVID WALTON, BETH CATO, DANTZEL CHERRY, WANXIANG FENGNIAN, TAIS TENG & JAAP BOEKESTEIN, NATALIA THEODORIDOU, and SVYATOSLAV LOGINOV. I’m quite chuffed to be sharing a TOC with these authors. My young son was excited to make out the constellation of Orion for the first time this winter. Unfortunately for us, we live right downtown and can barely make it out, thanks to skyglow. 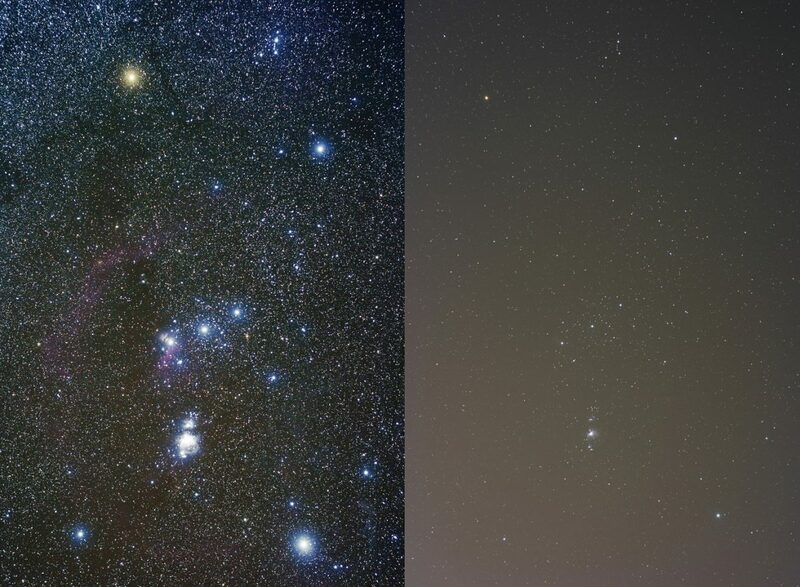 The image above is a terrific side-by-side of Orion with and without the skyglow of Orem, UT. Here in Ottawa, Ontario, all we can see of Orion is the 7 brightest stars: the belt, shoulders and toes. I was inspired to write a short piece on skyglow for kids. Today I had the pleasure of meeting one of this year’s Writers of the Future winners, John Haas. John’s a talented author and a published novelist. 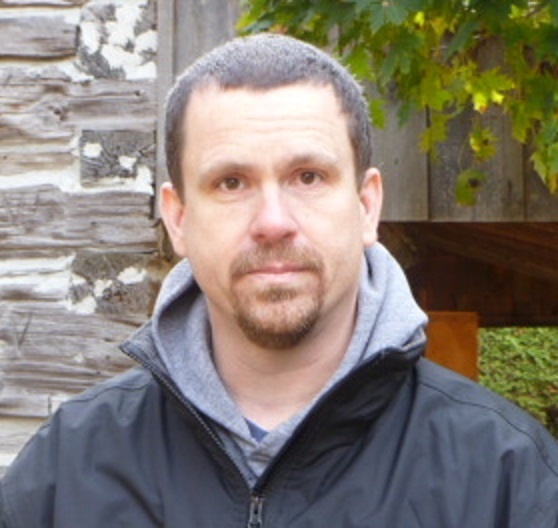 His debut novel, The Reluctant Barbarian, was published by local small press Renaissance Press. His fiction has also appeared in numerous anthologies & magazines. I’m really looking forward to seeing John’s story in Writers of the Future 35. Congratulations, John! 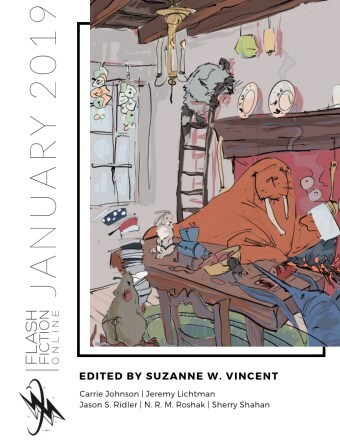 I’m very excited to have a story appearing in Flash Fiction Online’s January 2019 food-themed issue. Update: Charles Payseur reviewed “Salt, Spices, Fat, Honey” in his review of the issue on his site, Quick Sip Reviews. Thank you for the thoughtful review, Charles! Galaxy Press sent out a PDF Advance Reading Copy of my story and others in WoF 34. Anyone want to be an Advance Reader? Copies are free but Galaxy Press kindly asks that you leave an honest review wherever you buy your books (or otherwise post your reviews… goodreads, blog, etc) when the book comes out in April. Message me via FB, Twitter or the comments section if you’d like a copy. On Feb 9th I was on daytime radio in Ocala, FL. WOCA is a radio station — “the Source 96.3FM and 1370AM” — and I was on AM Ocala Live with Larry and Robin. I had a blast. Larry and Robin were terrific fun to talk with. And as a bonus, there’s a recording here.